After only a few years of putting out original content, Netflix already has a pretty sizeable library of TV series, and it’s not going to stop anytime soon. The streaming service is gearing up for a rare trip into the world of the supernatural, and it’s locked down one of the leads, as actress Winona Ryder has signed on for her first regular TV show gig. Yeah, we really wish it was a Beetlejuice show, too, but we’ll take what we can get. The first season of this currently untitled series, which previously went by the name Montauk, will take place over the span of eight episodes, and it’s being called “a love letter to the 80s classics that captivated a generation,” according to TV Line. The show is set in the 1980s, and centers on Ryder’s Joyce, a working class mom whose 2-year-old son vanishes without a trace. With the help of friends, family and the police, she searches for her son and finds more than she expected as she enters a mystery that includes supernatural forces, a conspiratorial government experiment or two, and a strange young girl. Luckily, Joyce discovers a particular strength that she never realized before that will help her try to overcome all manner of threats. 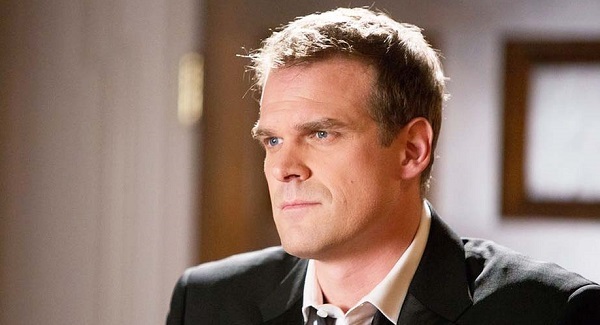 Besides Ryder, actor David Harbour was also cast as the town’s chief of police, so we can probably expect to see him teaming up with Joyce in the hunt for her son. Unless he’s one of the bad guys, of course. Harbour was most recently seen in State of Affairs and an episode of Banshee, and will soon be seen in Scott Cooper’s star-studded Black Mass alongside Johnny Depp. The series will be written and directed by Matt and Ross Duffer, who penned last week’s mindblowing Wayward Pines episode “The Truth.” The duo will have their directorial debut, the Alexander Skarsgård-starring horror Hidden, out later this year. They’ll be executive producing as well, along with Shawn Levy and Dan Cohen (Night at the Museum) and showrunner Karl Gajdusek (Last Resort). This is actually Ryder’s second upcoming TV project, as she’s also set for a smaller role in David Simon’s HBO miniseries Show Me a Hero. She’s also been seen on the small screen in the past couple of years on Drunk History and the Masterpiece Contemporary TV movie Turks & Caicos. On the big screen, she last starred in Gary Fleder’s Homefront and will pop up later this year in Michael Almereyda’s Stanley Milgram biopic Experimenter. Will this untitled series match up to the supernatural monster drama of Hemlock Grove or the strange science fiction of Between? We’ll find out when it hits Netflix in 2016.